Click here to sign up for access to site. It is time to renew our memberships. . It is $40 this year. May 20th is next meeting. That next saturday. Captian Kevin Vasereno of the Gold Rush will be out guest....this will be a question and answer get together....Bring those questions and pick Kevin's brain. We should also have Robin from the port there as well to answer any questions you have. As always, raffle prizes that always help our game. Remember to renew your membership's. Halibut fishing is open the 21, following day. 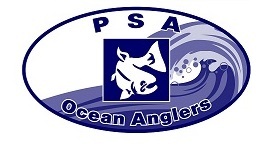 Welcome to the PSA Ocean Anglers website take a look around on the forums page and post up some of your fishing trips, download pictures, got something to sale put it in the classifieds, have a question about your boat? Put it in the Boats & Tackle forums.